The Aeon Twin Whole House System 10' is the ideal size for small to medium homes. It is the perfect option for use on your home or holiday house with replacement cartridges readily available through Aeon Water Filters. 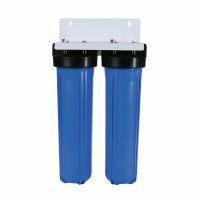 The Aeon Twin Whole House System 10' is easily installed onto your mains water supply and is great for sediment and chlorine removal. 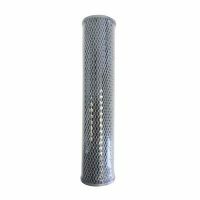 The cartridges are easily changed yourself and comes with a housing spanner to help undo and tighten the housing. 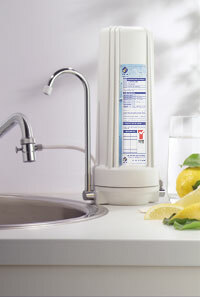 This system can also used to filter tank water and can be connected for use on toilets and/or washing machines. It is recommended that an Ultra Violet lamp be installed after the twin system if the tank water is going to be consumed. 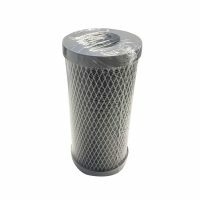 This system has a maximum flow rate of 75 LPM, with a number of cartridge options to suit your application. A pressure-limiting valve is recommended to be installed if the water pressure exceeds 70 psi or 500 kpa. A dual check backflow device is also recommended for point of entry installations. Range of cartridges options available for different applications. Ideal for use on small and medium size homes or holiday houses. The Aeon Twin Whole House System 10′ is the ideal size for small to medium homes. It is the perfect option for use on your home or holiday house with replacement cartridges readily available through Aeon Water Filters. 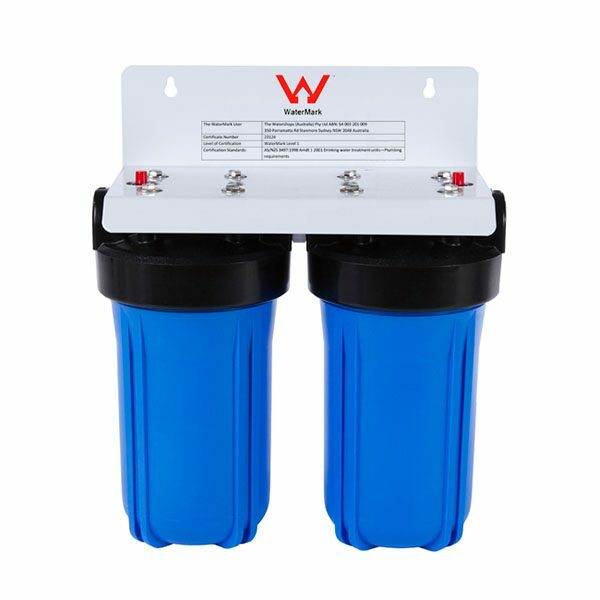 The Aeon Twin Whole House System 10′ is easily installed onto your mains water supply and is great for sediment and chlorine removal. The cartridges are easily changed yourself and comes with a housing spanner to help undo and tighten the housing. 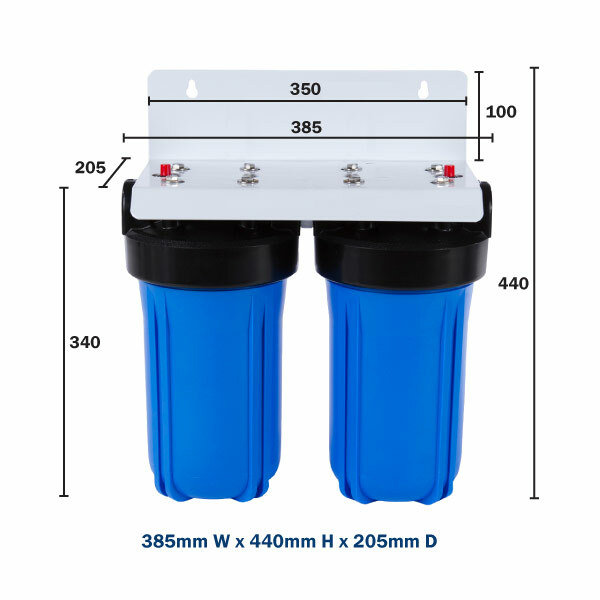 This system can also used to filter tank water and can be connected for use on toilets and/or washing machines. It is recommended that an Ultra Violet lamp be installed after the twin system if the tank water is going to be consumed.